Each year, the Athletes in Action Bart Starr Award is given to a NFL athlete whose impact on the field is equally matched by their positive presence in the home and community. A nominee from each of the NFL’s 32 teams is selected and from there 10 finalists are chosen. 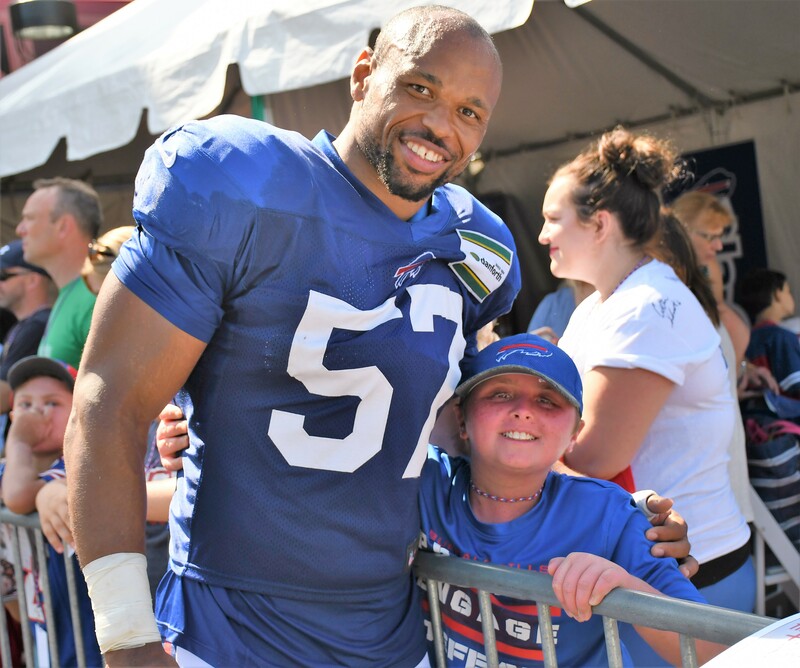 This season, Bills linebacker Lorenzo Alexander has been named as one of the finalists. A perfect example of what the award represents, Alexander has made an impact on Buffalo’s locker room and touched the lives of many across the country. Through his ACES Foundation, the 11-year NFL veteran has helped provide youth with the tools they need to become successful. His continual efforts to create change are unwavering and have inspired others to act. Voted on by NFL players around the League, the 2018 Bart Starr Award winner will be announced at the Athletes in Action Super Bowl Breakfast on Saturday, Feb. 18. The full list of finalists includes, Ravens TE Benjamin Watson, Bears LB Sam Acho, Jaguars DE Calais Campbell, Jets RB Matt Forte, Rams T Andew Whitworth, Browns OL Joe Thomas, Chargers QB Philip Rivers, Bengals QB Andy Dalton and Redskins QB Colt McCoy. Lining the list of past winners is Bills defensive backs coach Gill Byrd.